Bernie Sanders, a so-called “progressive,” is carrying water in leaky buckets for the limiting, failed ideas of the past. He is a roadblock in the path of innovation that would deliver enduring prosperity to all Americans. Next Tuesday, Nov. 6, I hope Vermonters will choose the candidate who can apply the tools of tomorrow to the challenges of today. I give Bernie Sanders credit for identifying persistent problems in American education, health care and energy. But I condemn his so-called “solutions” that elsewhere have led to poverty and government oppression. Sanders once talked glowingly of the “revolution” in Venezuela and Cuba. Sadly the citizens of these countries have become poor, unarmed, subjugated, and hopeless. When I pointed out these real-life consequences of his “revolution” during our Vermont Public Radio/TV debate Monday, Oct. 29, Sanders didn’t defend the indefensible. He deflected. He praised Scandinavia. My response left him mumbling. I said Scandinavian’s vaunted social spending depends on powerful, capitalist industrial economies — theirs and ours. Norway’s social spending comes straight from zealous North Sea fossil-fuel producers of the kind that Bernie would eradicate if he had his druthers. I reminded him that Scandinavian military security and low-cost prescription drugs were both “made in America.” Without capitalist industrialism, Scandinavian prosperity wouldn’t exist. Our next U.S. senator must set innovators free to pursue the blessings of liberty not only for themselves, but for everyone else. Health care: Sanders would make us all pay for inefficient, abuse-ridden government health care insurance dressed up with the pretty word “universal.” Instead, I would promote interstate competition and innovation and save trillions by favoring fee-for-services over required non-catastrophic insurance. This system already works just fine for consumers of dentistry and elective surgery. 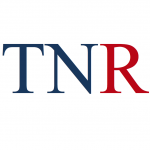 Rather than stop innovation dead in its tracks with guaranteed pricing and revenue, America can allow visionary health care providers to use the latest research and technology to compete in a level-field marketplace. When consumers, not bureaucrats, pick the winners, they are more likely to receive unprecedented levels of affordable, effective health care. Higher education: Bernie Sanders understands neither the educational applications nor the implications of the personal computer. The PC (or tablet) is the new American classroom of opportunity. There will always be a need for bricks and mortar learning. But Sanders’ promise of traditional, “free” four-year college is nothing but an unwarranted public works building project and a “revolution” recruiting drive paid for by everyone else. The goal of higher education should be to train young people and ambitious adults to succeed in the 21st century. We can accomplish more for less by expanding quality of and access to educational hardware and software. The traditional educational establishment of which Bernie is both a product and champion fears this approach. But we are not their servants. Energy: Bernie Sanders would save the environment and stimulate the economy with more current generation solar and wind power. These choices will likely remain components of the future renewable energy mix. But great breakthroughs are being developed right now, including next-generation solar power. Sanders disregards them. We must not permanently partner our powerful industrial economy and way of life to policies that stifle innovation in clean, abundant energy generation. The Obama plan would have locked us into low-density power that suffered no baseload-power rivals. Such top-down, we-pick-the-winners government planning almost always fails. Those pesky innovators find ways to make and transmit power quicker, cleaner, and cheaper – as in fact is happening now. My program for bringing everywhere full bore broadband to Vermont will cause a breakout of new business and a golden age of new prosperity to all of Vermont. America has made more people free, happy and prosperous in a shorter period of time than any other nation in the history of the world. Why else would people flee here from central Europe, Asia, Cuba and other former and present “workers’ paradises”? I get that. Bernie Sanders doesn’t. If you agree, I hope you will vote for me on Tuesday. 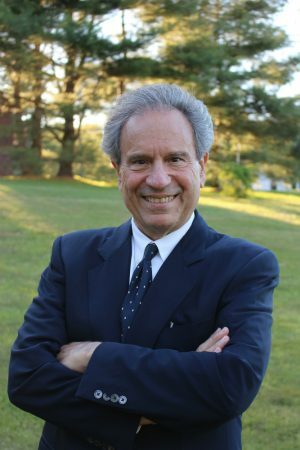 Lawrence Zupan, a Manchester resident, is the Republican nominee for the U.S. Senate. 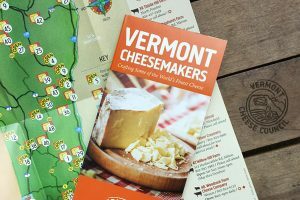 “someone who is interested in Vermont” would be a shocking novelty. I could vote for a guy like that. Lawrence Zupan, I hope Vermonters wakes up. 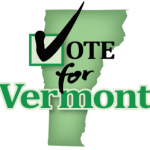 We do need someone who is interested in Vermont …. Not his Political Agenda for a Socialist America. I hope the next time I see an article from you, it’s your plan for VT, as senator!